Whether it’s counseling people through hard times or figuring out ways to preemptively improve lives before those hard times set in, the study of psychology can prepare you for many rewarding careers. This major is the study of a group of sciences and social sciences that specialize in some aspect of human behavior, whether manifested in individual acts between persons or in actions between, or among, groups of persons. Behavioral sciences is an interdisciplinary major in which students take courses in several departments including biology, psychology, anthropology, and perhaps sociology and communications. Its main focus can be biological or psychological. The plan of study depends in part on the focus of the major. A strong foundation on both biology and psychology is important. Students will specialize more in the junior and senior years. Supervised independent research in that area and field experience may be included. Classes include social psychology, organizational psychology, statistics for behavioral sciences, behavioral research, perception, cognition, survey data analysis, biopsychology, personality and psychopathology, biology, and anthropology. This is the study of the diagnosis and treatment of psychological disorders and mental illness. Clinical psychology is the largest of the various specialties within psychology. Within specified guidelines, the major involves laboratory experiments and research projects on animals and human subjects, psychological and intelligence testing and interpretation, and a full array of psychology courses. Frequently, a student who majors in this field goes into graduate school to become a licensed psychologist or social worker or to pursue advanced research. The undergraduate plan of study stresses a strong preparation in all aspects of psychology. At the upper-division level, specific studies of human development, personality, abnormal psychology, and learning theory are pursues. Supervised individual research is required, as are internships in counseling or therapeutic environments. Students who wish to become a licensed, practicing psychologist will need to pursue a graduate degree in this area. Classes include psychology, biology and advanced biology, calculus, statistics, experimental methods, child psychology, and psychoses and neuroses. A branch of applied psychology, counseling psychology is the study of helping individuals to resolve personal, social, marital, career, or other conflicts. Personality theories, techniques of counseling and therapy, and administration of aptitude tests and interest inventories are among the chief concerns of this major. A small number of colleges offer this as an undergraduate major, but it is more often found as a graduate study. The undergraduate plan of study combines a comprehensive foundation in general psychological topics with upper-division work in theories of counseling, tests and measurements, and marital counseling, as well as practicum experiences and field externships with practicing counselors. Classes include general psychology, statistics and probability, algebra, adult human development, abnormal psychology, neuroses and psychoses, theories of counseling, counseling practicum, and psychotherapy. Developmental/child psychology can include child development or development throughout the life span, depending on the college. It examines human behavior as it changes from birth to old age. Personality development, intelligence, language development, and mental and physical functioning are a few of the interest areas within this major. The plan of study covers all aspects of psychology. At the upper-division level, course work includes child, adolescent, and adult development; methods of developmental research; personality theory; perception and learning; seminars in current topics; independent supervised research. Classes include introduction to psychology, learning and memory, perceptual development, and cognitive development. This major studies the behavior of people in work settings. Observation of the effects of changing work conditions on productivity and job satisfaction, factors affecting personnel selection, on-the-job training programs, and improvement of employee morale are all facets of industrial/organizational psychology. The plan of study begins with a foundation in general psychology, behavioral sciences, and mathematics. Some college require an economics course and computer science course as integral parts of the program; specific upper-division preparation includes courses in perception and interpersonal relations as well as work experiences and internships. Classes include introduction to perception, motivation, group processes, and statistics and probability. Psychology is the study of the physical and social origins of human thought and behavior, as well as the methods used to study them. It is an empirically based science; therefore, knowledge of methods for critically examining the various theories and experimental research is an essential skill. 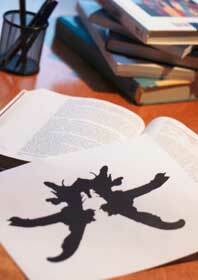 A Ph.D. is necessary to become a practicing clinical psychologist, and an M.D. is needed to become a psychiatrist. This major is popular because there are many careers for which it is an appropriate, if not an excellent, preparation. Psychology is a tree with many branches, including the following: clinical, social, experimental, developmental, abnormal, adolescent, and physiological psychology. The program of general psychology touches upon all of these, to prepare the student for graduate study in one area of choice. Laboratory work, field studies, and/or extensive academic research could all be required to complete a psychology major. Classes include general psychology, statistics, research methods, personality theory, learning theory, cognitive psychology, and statistics. Drawing from the discipline of counseling psychology, social psychology examines the structure and function of counseling and psychology and the human activity. It is the study of the thoughts, feelings, and behaviors exhibited or experienced by individuals in group settings. Social psychologists are interested in such topics as the basis for racial segregation and prejudice, how television violence influences individual aggression, and the effects of childhood experiences on adult personality. The plan of study required a broad acquaintance with general psychology and related topics, such as statistics and measurements. Advanced course work concentrates on social, behavioral, and experimental topics such as personality theory and abnormal psychology. Field work, specialty seminars, and an internship experience complete the study. Classes include general psychology, college algebra, statistics, analysis of psychological data, human learning, tests and measurements, practicum in social development, computer applications in psychology, sociology, personality studies, adolescent psychology, and human development.